A PUMPED-UP Simon 'The Wizard' Whitlock has stunned world champion Rob Cross to make the semi-finals of the Auckland Masters darts tournament at Trusts Arena on Sunday night. The world No.7 was at the top of his game in his 10-7 victory, where he had a 130 finish and also checked out on 126. That finish put the Australian 8-7 up against Cross and he didn't look back, taking out the last three legs to set up a last-four clash with Raymond van Barneveld in Auckland. Whitlock, 49, said there was more to come after finishing with a 99.43 average but was glad to have overcome a tough opponent in the quarter-finals. "I wanted to win, I was really pumped up for this game," Whitlock said after his victory. "I started poorly and Rob got out of the blocks fast. "I really wanted to win this one against the world champion. "I am a big old turtle but I got there in the end. 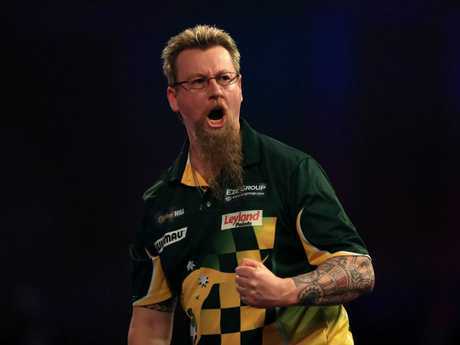 Simon Whitlock celebrates his win. "I only hit four 180s, so I don't know how I won this game. There is definitely more to come from me and I can't wait for another good night." 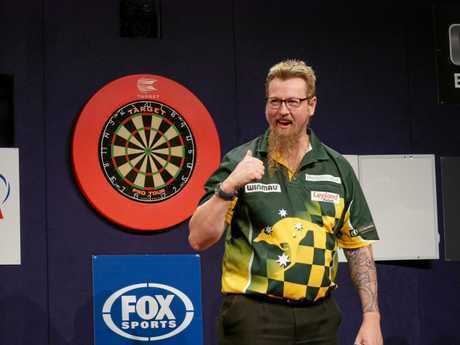 Whitlock has been tinkering with the set-up of his darts since arriving in Auckland and said that was the difference in his win, despite only having minimal sleep as he battled with jetlag. 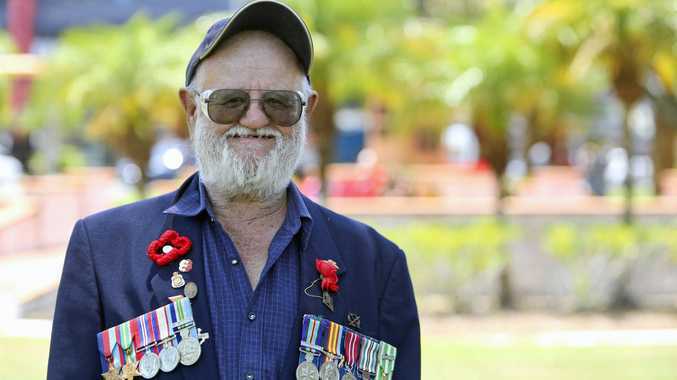 "The darts felt great," he said. "I didn't hardly have any sleep. I was up at 2am and couldn't get back to sleep. "But I did have four hours' good sleep which is better than eight bad hours." 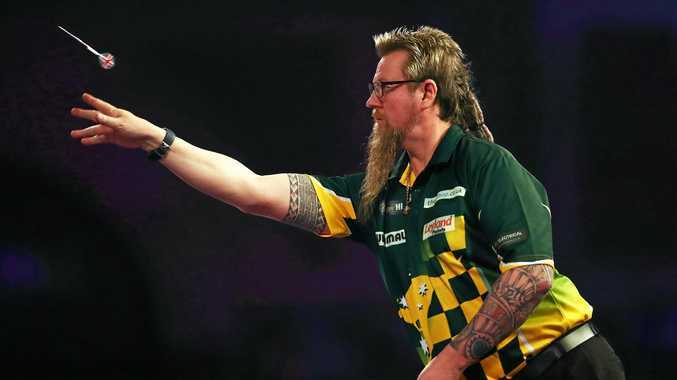 Whitlock has been in good form in recent weeks, reaching the quarter-finals of the World Matchplay in Blackpool, England before flying out to Auckland. He said he had been disappointed not to have done better and was now ready for Sunday night's semi. "I was sick of losing matches I know I should win," Whitlock said. "I really wanted to win this. I know Rob is world champion, but I know I can beat Rob and I showed that tonight. "I am looking forward to being back for the third night and the semi-finals and see where that takes me." In this form Whitlock will prove a tough combatant for whoever he plays tonight. In the other quarter-finals on Saturday night, five-time world champion Raymond van Barneveld defeated New Zealand qualifier Mark McGrath 10-4, world No.1 Michael van Gerwen beat Gary Anderson by the same scoreline and Peter Wright was too good for Australian Kyle Anderson, also 10-4. Van Barneveld will play Whitlock in the first semi on Sunday night, with van Gerwen to play Wright. The winners will face off in the final.